Today’s post looks at one of the miracles of this century, restorative dentistry in Pearland. Let’s pretend you are a biomedical engineer working in the field of dentistry before the conception of dental restorations. The men and women of your generation who have missing or damaged teeth want to repair or replace them with a man-made substitute. 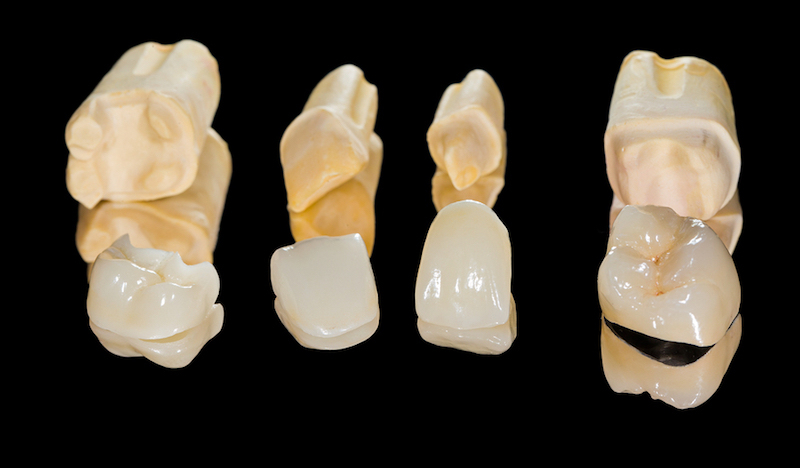 You have been hired to find or create a material that can be used to construct fillings, crowns, and dental bridges. Consider the physical and chemical requirements of this incredible material. It must sustain forces of 162 pounds per square inch (PSI), hundreds of times a day – day after day, year after year. It must be resistant to cracking and chipping. But there’s a catch regarding its strength; it must not damage the enamel on opposing teeth. This material must also maintain its size and shape and be resistant to shrinking. It must be bondable to living tooth structure as well as other materials necessary for specific appliances. It must be biocompatible with the soft tissues in the mouth as well as tooth enamel, dentin, and bone. It can’t generate allergic reactions in the wearers. It must be corrosion-resistant to the chemicals in saliva, foods, and beverages. It must resist infection regardless of ever-present bacteria in the mouth. And it can’t contain toxic chemicals that could be absorbed into the bloodstream. And we haven’t even considered the aesthetics yet. Ideally, this amazing material would look identical to genuine teeth in color, opacity, and translucence. Of course, we know that such an item exists because dental restorations have been around for a long time. Nowadays, there are numerous materials used alone or in combination including porcelain, ceramic, gold, and silver amalgam. Though the metals are exceptionally strong and malleable, they don’t meet some patient’s aesthetic requirements and are used mainly for back teeth. It is interesting to note that porcelain, one of the ideal materials used in modern restorations, was developed over 2000 years ago in China. Montz and Maher Dental Group offers porcelain veneers, sedation dentistry, teeth whitening, CEREC dental crowns, and restorative dentistry in Pearland. For more information, call our office at 832-895-5120. Oral Health in Pearland: Does My Dentist Care About My Diet?